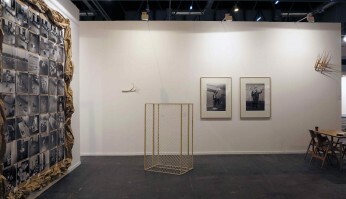 ŻAK | BRANICKA is delighted to present at ARCOmadrid fair works of Szymon Kobylarz and KwieKulik (BOOTH 9C10). The attraction of infinity and its manifestations in different contexts bound both Kobylarz and Kwiekulik: for the first time, their works will be shown as a dual presentation, highlighting many of the common interests that bring toghether artists from different generations and socio-political scenarios. On Friday, 26 February, 2016 at 5:30pm we will host a presentation of KwieKulik's book, toghether with a small reception at our booth 9C10, with the kind support of the Polish Institute in Madrid.